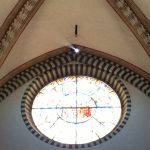 I already wrote articles on the scientific tools on Santa Maria Novella facade, and also about Ignazio Danti, the Dominican friar who, as a scientist and astronomer, added all these tools to the church. All these tools revealed very useful for the solar eclipse March 20 2015. I want to share with you some amazing pics taken by my fellow friend and colleague Siro, who is part of our group of tousist guides. 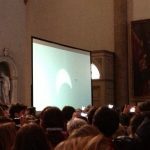 Having a solar eclipse is a rare event; having one exactly on the vernal equinox is extremely rare; having a chance to observe it in one of the most beautiful churches of Florence is priceless. 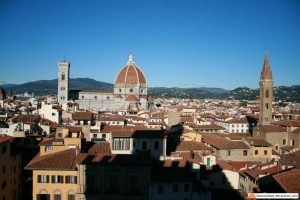 The Basilica di Santa Maria Novella often organizes events to allow the astronomical observation of the Sun movement, and this was certainly something that will hardly happen again. Luckily, weather was fair. 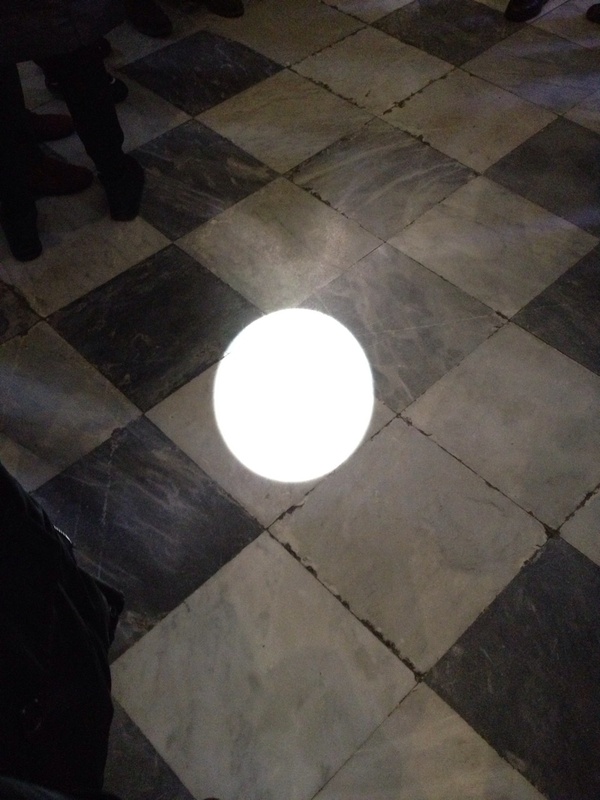 The Sun reflected on the floor and on a screen placed in the Basilica, allowing people to indirectly see the solar eclipse. 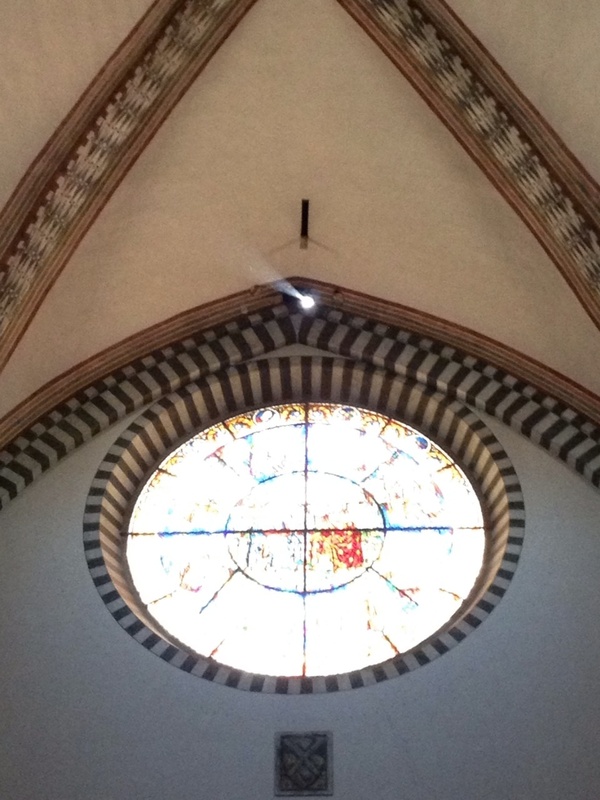 Centainly the most amazing thing was the light filtering from the hole above the rose window. 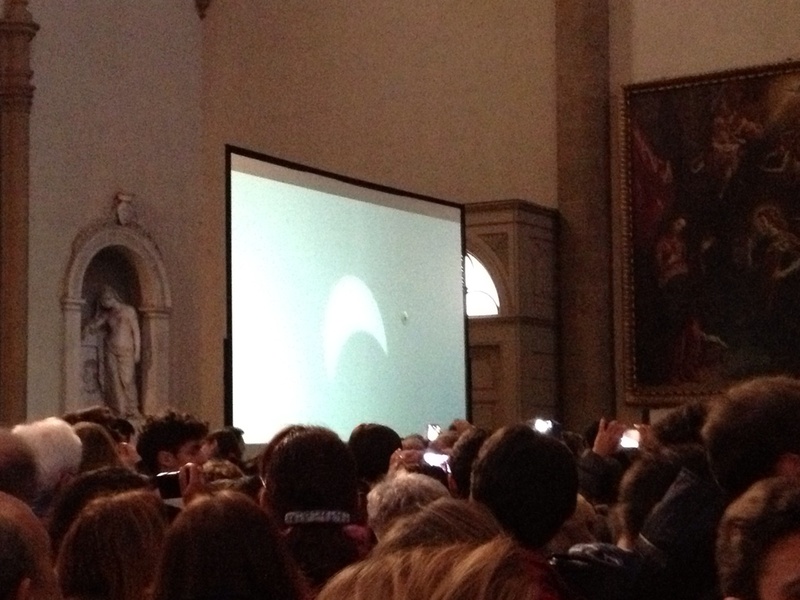 That’s one of the astronomical tools added by Ignazio Danti back in the 16th century. 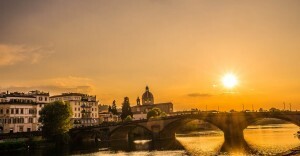 These tools allowed him to discover a large discrepancy (11 days) in the calendar, that promoted the Gregorian reformation. Even today, we use the Gregorian calendar, where the leap year is not considered once every 100 years (last time this was in 2000). Thanks to this correction, seasons are now more stable. 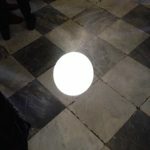 Below, you can see the amazing images taken in the Basilica that day. You can click on the thumbnails to enlarge.